Take back your privacy Send a loud "no soliciting" message to fundraisers, political reps, sales men and religion with this legend contemporary yard sign. Do not knock or disturb. 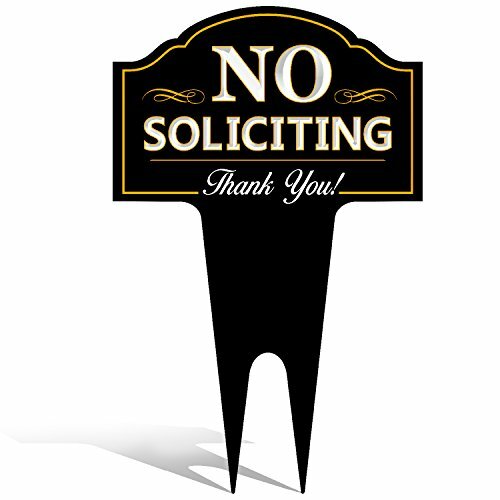 Sign reads "no soliciting thank you" made with premium dibond aluminum material. Weatherproof and guaranteed never to fade or yellow. We'd love to hear your feedback. Be sure to leave us a review after your purchase.